Caffeine is drug that is white and crystalline, and is bitter to taste. Caffeine is present in the seeds of coffee plant as well as in the leaves of tea bush. When humans consume caffeine, it helps in stimulating the central nervous system and makes you alert, removing drowsiness and tiredness. Caffeine is consumed widely all over the world. 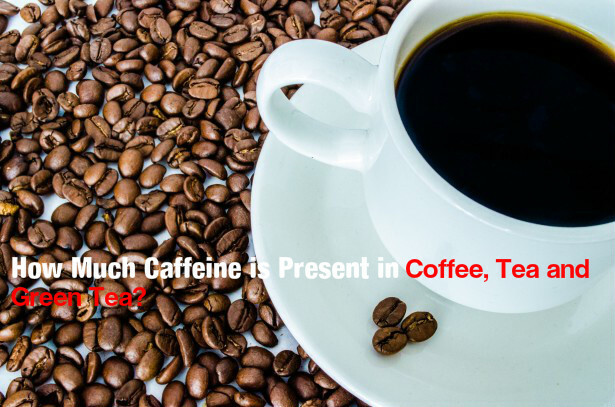 People love to have tea, coffee and soft drinks, all of which contain caffeine. About 90% of adults in North America take caffeine daily. Some of the energy drinks that you consume also contain caffeine ranging from 160 mg to 4 mg. Even decaffeinated coffee contains trace amounts of caffeine in it. Pain killers, diet pills and cold medications also contain some caffeine in them. Caffeine itself has the ability to get you relief from mild pains and to increase the effects of other pain relievers that you take in. Studies have shown that caffeine can act as a mild diuretic. Caffeine can make you urinate more often. But if you take in only small quantities of caffeine per day, dehydration is not caused. Often you have seen people, who wake up late at night, drink coffee or tea to stay awake and feel refreshed. The body quickly absorbs caffeine and gets rid of caffeine quickly. When you consume more caffeine, you are deprived of sleep. If you take more than two cups of tea, coffee or green tea per day, you will remain alert throughout the day and you will never feel tired or sleepy. So, if you want to get a good sleep at night, remember never to consume caffeine after 8 pm at night. If you do so, it will interfere with your sleep and you will suffer from insomnia. It is important that you get at least 6 hours of sleep every day to stay healthy physically and mentally. So, do not consume coffee later in the day. Caffeine, as you know, acts on your central nervous system and if you take in caffeine daily, your body may become dependent on it. However, caffeine is not as harmful as other drugs, which may affect your social, physical and economical health. Caffeine never does so much harm to you. If you have the habit of drinking more than two cups of coffee per day and one day if you suddenly stop drinking coffee, you will see that you feel uncomfortable and irritated. You may suffer from certain symptoms like headache, anxiety, fatigue, depression and irritability. This is because of the addictive effects of caffeine. According to the studies made, if you take in small amounts of caffeine it may not lead to miscarriage, birth defects, problems in conceiving, premature birth of the baby and so on. Make sure that you do not take in more than 200 mg caffeine per day as more than this amount may affect your pregnancy. By exceeding the limit, there are chances of you getting not pregnant or having a miscarriage. Breast feeding mothers are also advised not to consume more than 200 mg of caffeine per day. Otherwise it may pass in to the breast milk and cause various problems for the infant like sleep disturbance, irritability and so on. Caffeine is shown to have only a few health benefits. If you drink tea or coffee, you can improve your concentration, so that you will be more alert. Let us compare the caffeine content present in green tea, tea and coffee. 200 ml of coffee contains 49 mg of caffeine in it. 200 ml of black tea contains 42 mg of caffeine in it. 200 ml of green tea contains 25 mg of caffeine in it. So, by looking at the above information, you can conclude that green tea has the lowest amount of caffeine. This means that green is a better and healthier choice. If you are health conscious and want to avoid taking too much of caffeine, but love to drink tea or coffee, then choose green tea as it is low in caffeine. Green also contains amino acids. These have a calming effect on your concentration. Another benefit of drinking green tea is that it can lower the risk of cancer. It is also good for preventing tooth decay. Antioxidants like epigallocatechin gallate are found in high amounts in green tea. Researches have shown that this antioxidant is great for weight loss, to prevent cancer and so on. So, have one or two cups of coffee, tea or green tea per day. Never take more than that amount as it can cause many health problems. If you have bleeding disorders, you must be very careful when you consume caffeine, as it can aggravate this problem. If a person is suffering from bipolar disorder, he or she must use it with care. Consuming too much of caffeine can make thing worse for them. If you are a diabetic patient, use caffeine with caution as it is said to affect the way the body uses sugar. However, the effects of beverages and supplements with caffeine have not been studied. Sensitive people suffer from irregular heartbeat by consuming caffeine. So they must be very cautious when they consume drinks containing caffeine.